Used to hold capsules upright during polymerization. Two sizes of holders. 00 and 3, for conveniently holding 22 capsules in numbered cavities. Embedding media do not stick to these holders which are made from an epoxy resistant material. Capsule removal from the holder is facilitated by relief holes. 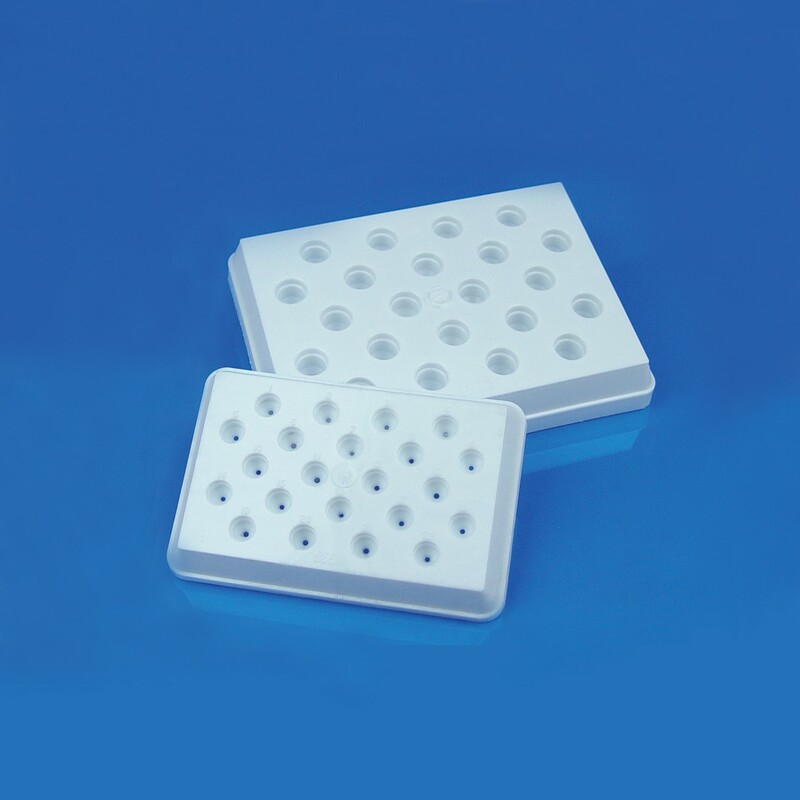 The holders are also suitable for gelatin capsules. The cavities may be illuminated from below to facilitate specimen orientation. Holders may be stacked on upon the other.